Reinvention of "upside-down" Montauk house with minimalist details and landscape views. 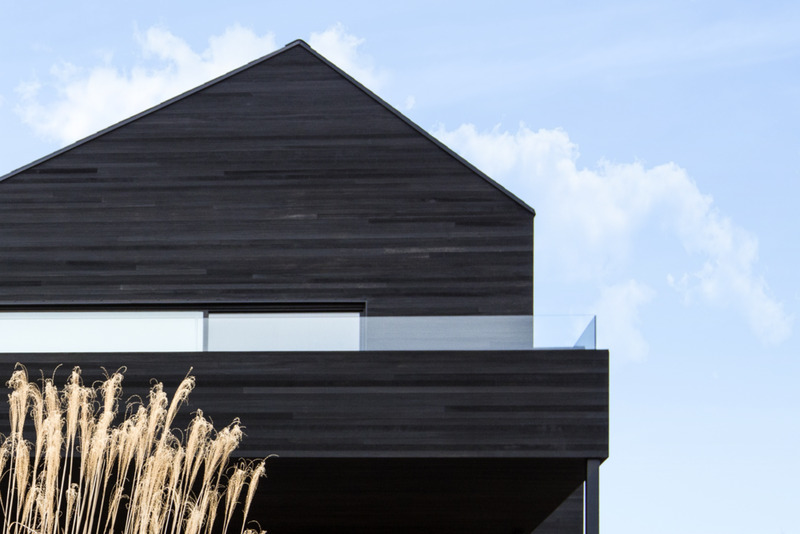 Features Shou Sugi Ban cedar, simplified roofline, and loft-like feel. In this inventive re-envisioning of a 1970’s “upside down” house in Montauk, a serene environment of minimalist detailing, rich materials, and sweeping views of the lush landscape were created. As part of the transformative renovation, new openings were carved for light, the roofline simplified, and the interior spaces re-imagined to provide an open, loft-like feel. 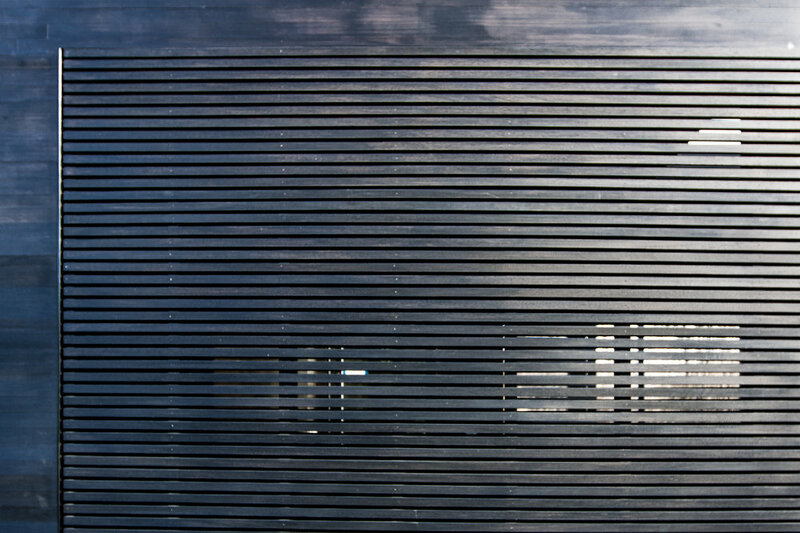 The residence’s black exterior featuring Shou Sugi Ban cedar siding, embodies the simplicity and serenity of the interior.